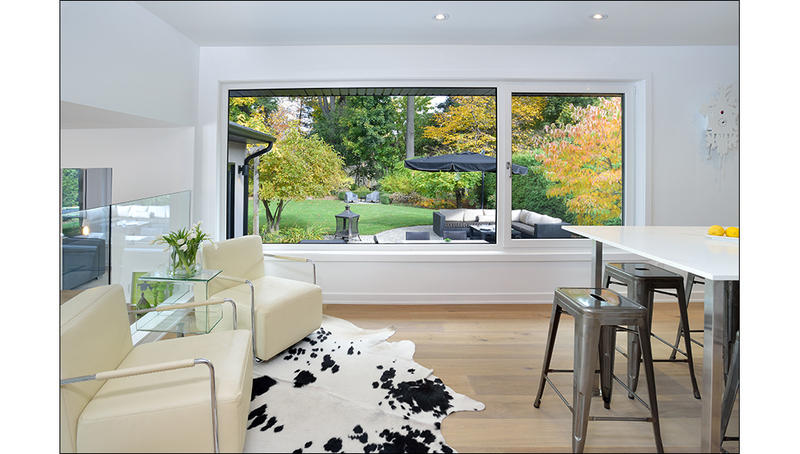 Nestled in Oakville’s tree lined ravine, this mid-century home was discovered by househunters who had recently returned from Europe. 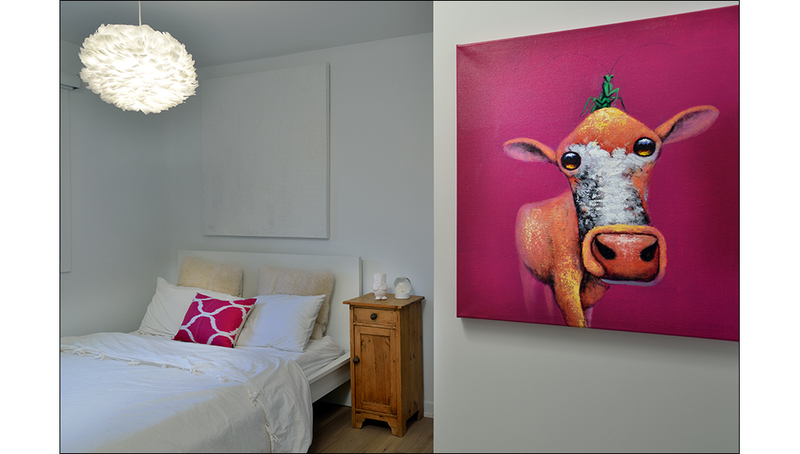 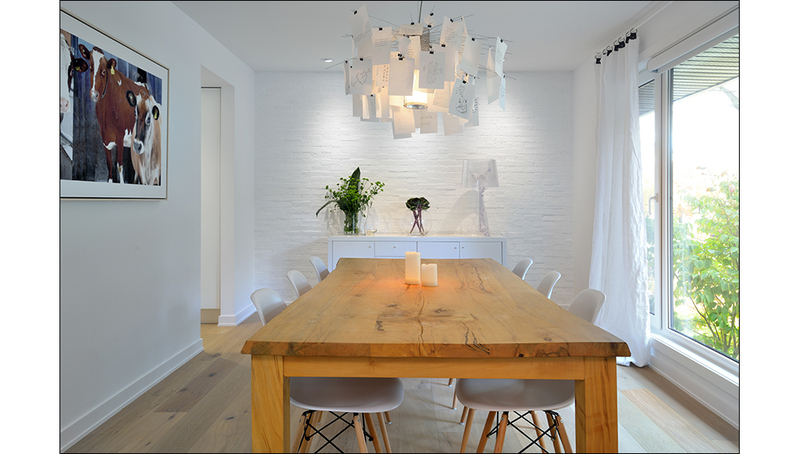 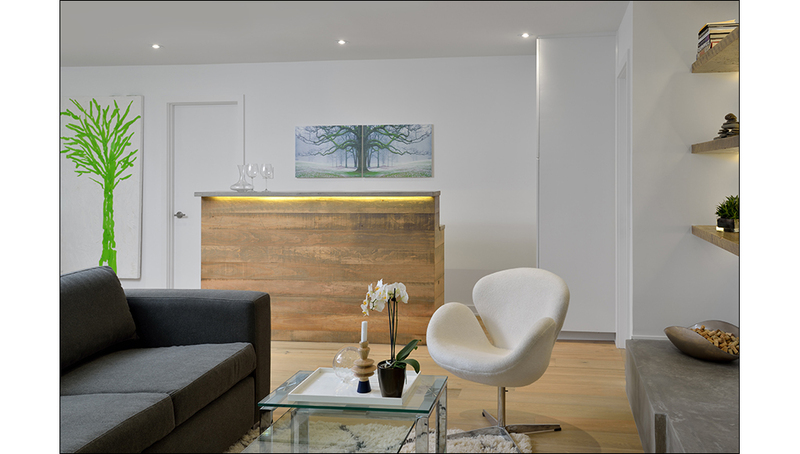 A modern Renovation with a Scandinavian flare unique to the area was envisioned and achieved. 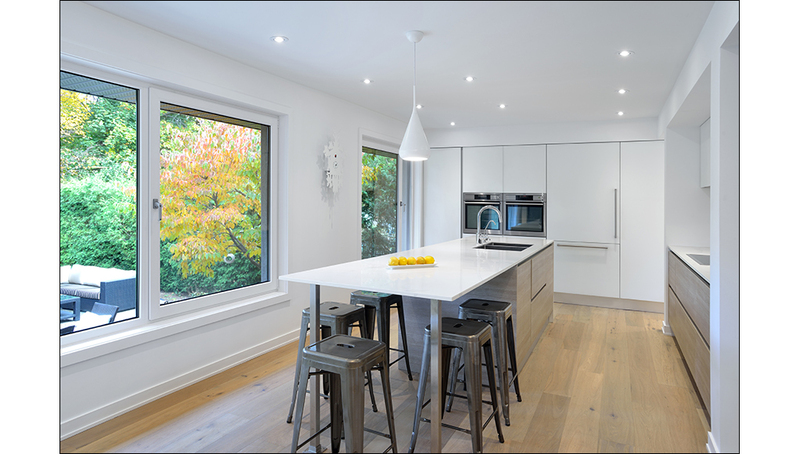 Design placed a special focus on mixed materiality, connecting spaces, enlarged rooms and widening windows to bring in lots of light & spectacular ravine views. 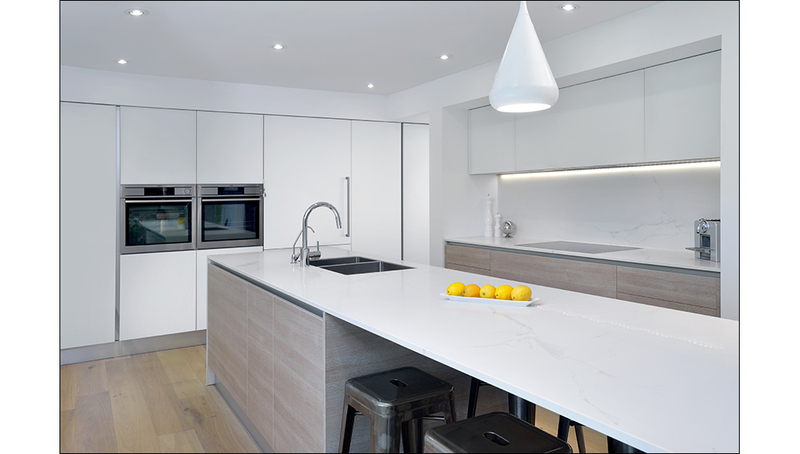 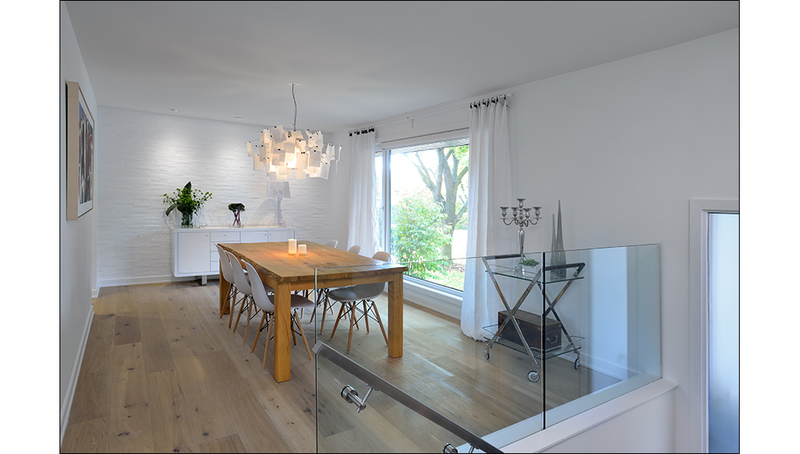 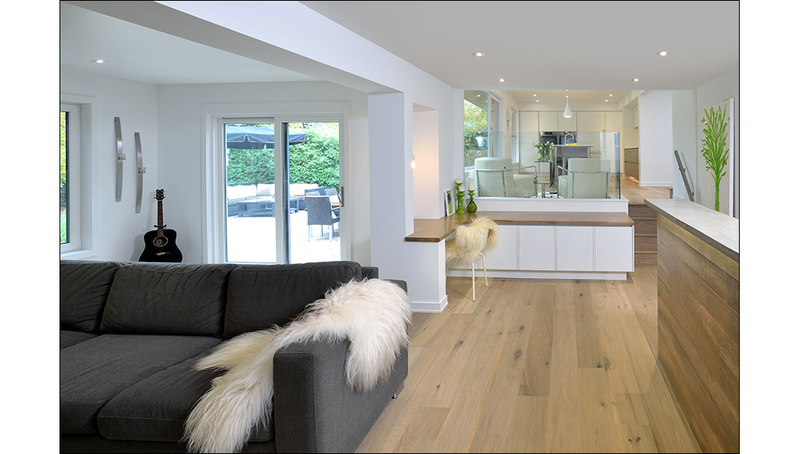 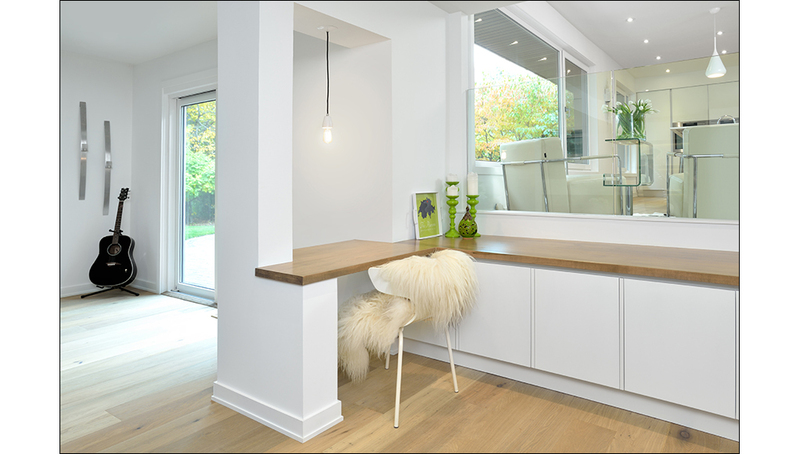 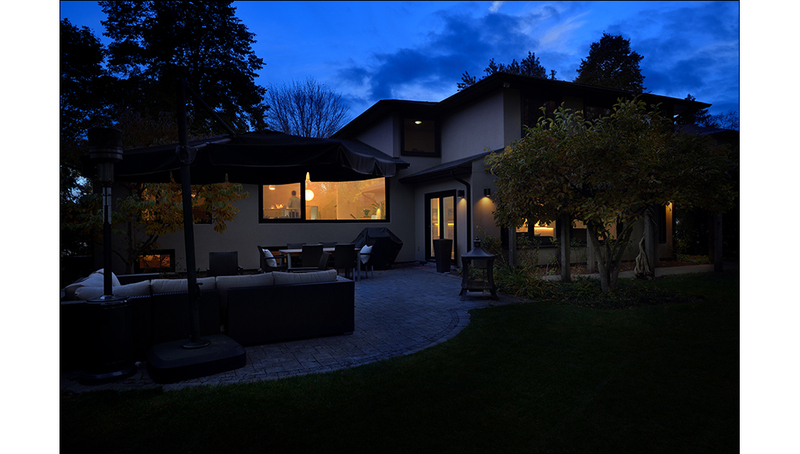 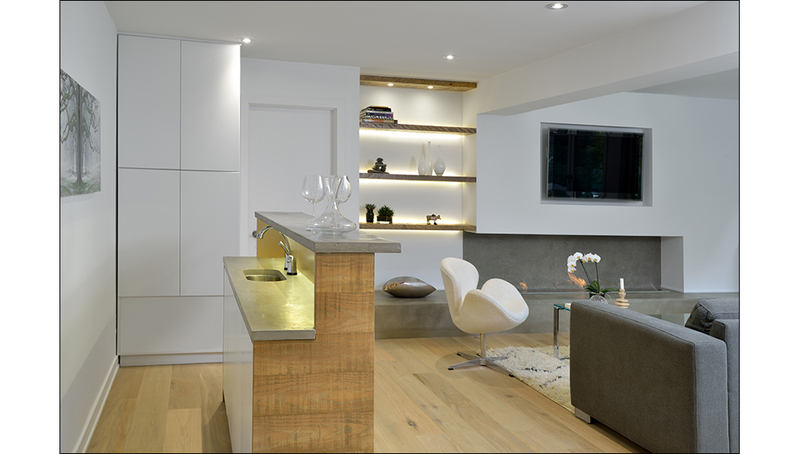 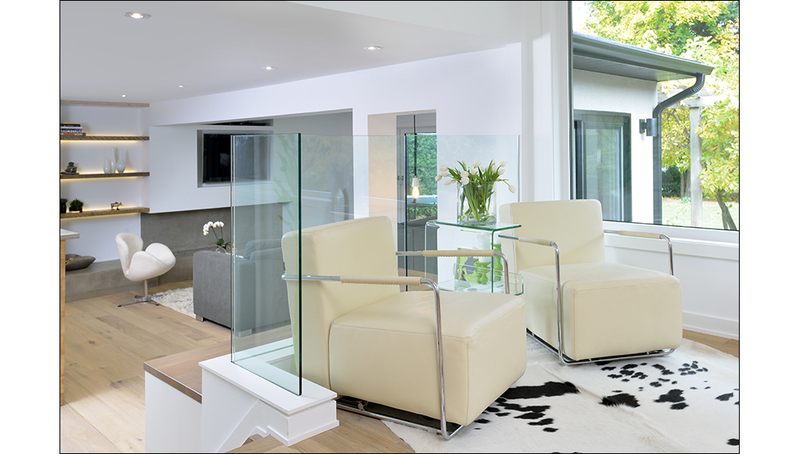 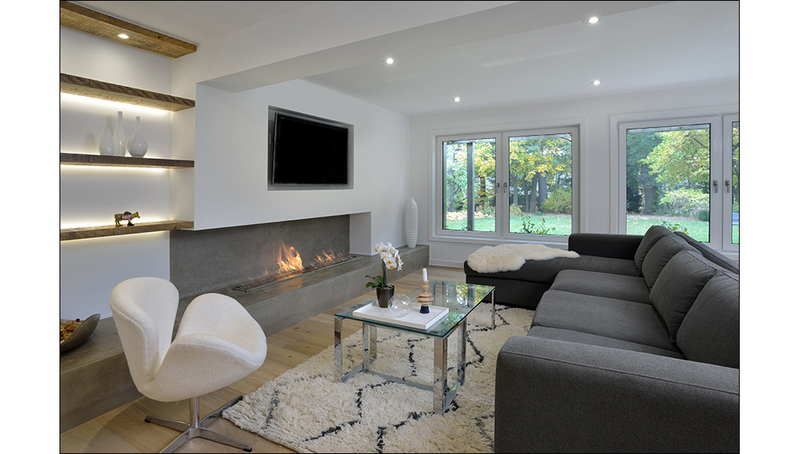 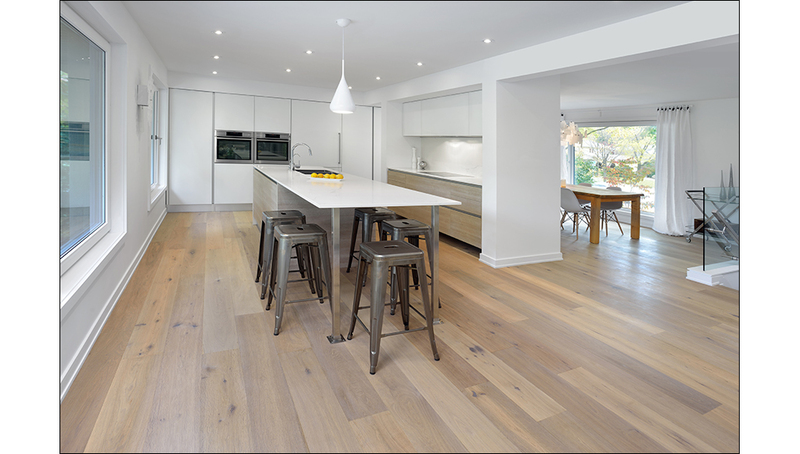 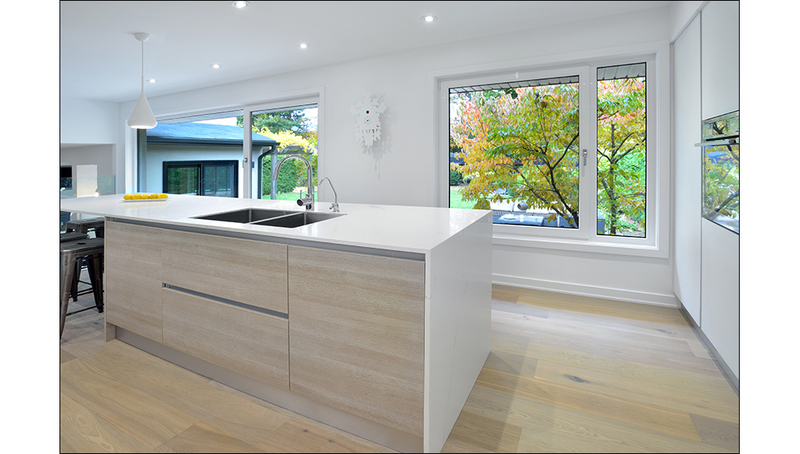 To create a contemporary interior, the design challenge was to convert a conventional 2400SF, 4 bedroom Oakville side-split. 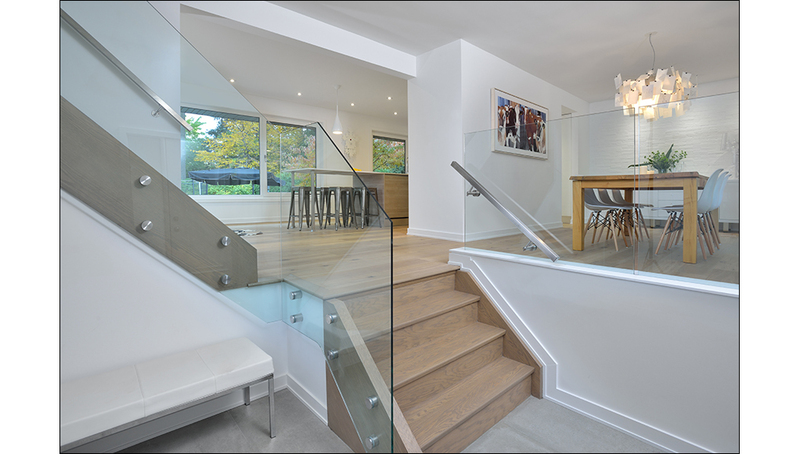 A continuous open concept was created by integrating large spans and differential elevations. 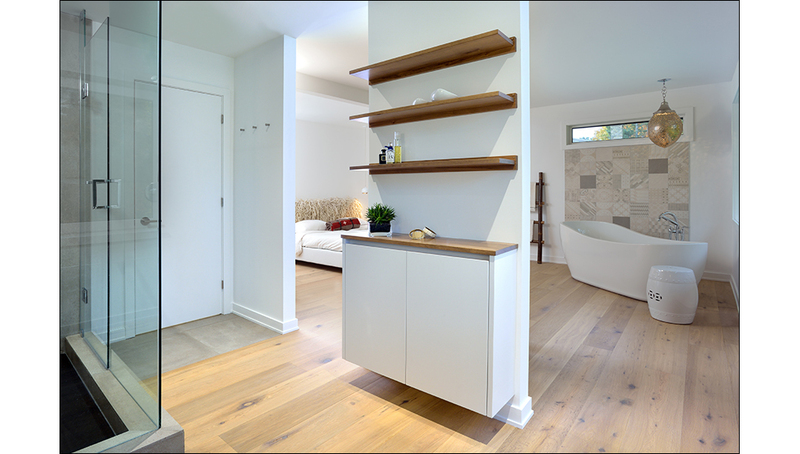 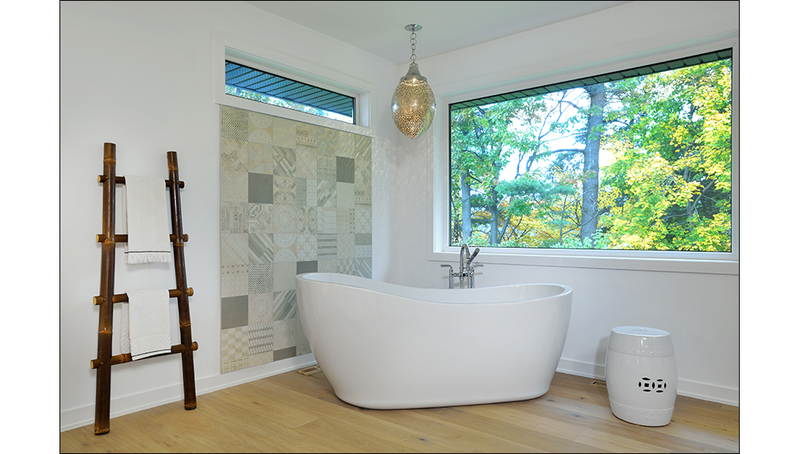 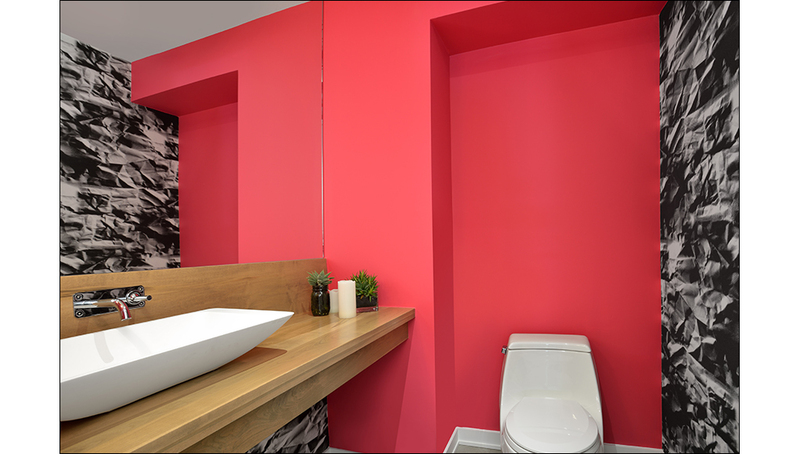 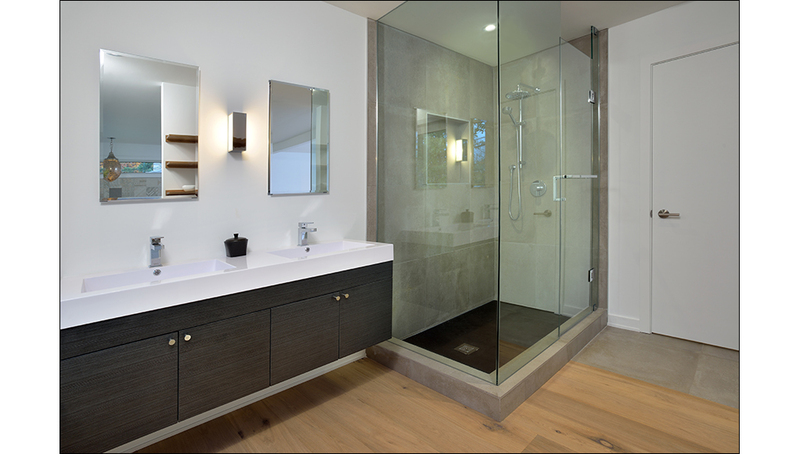 Further space constraints inspired the creation of an open concept master ensuite and main-floor integrated office. 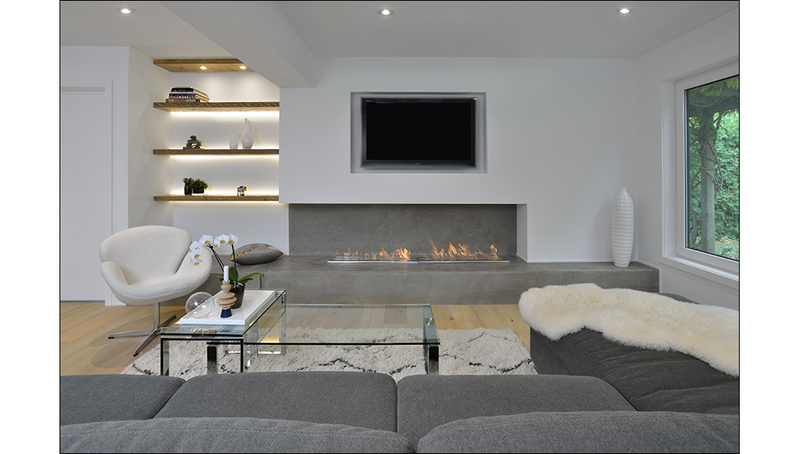 Also included are customized extensive feature built-ins: bars, concrete fireplace, brick wall, desk, vanities and entertainment wall. 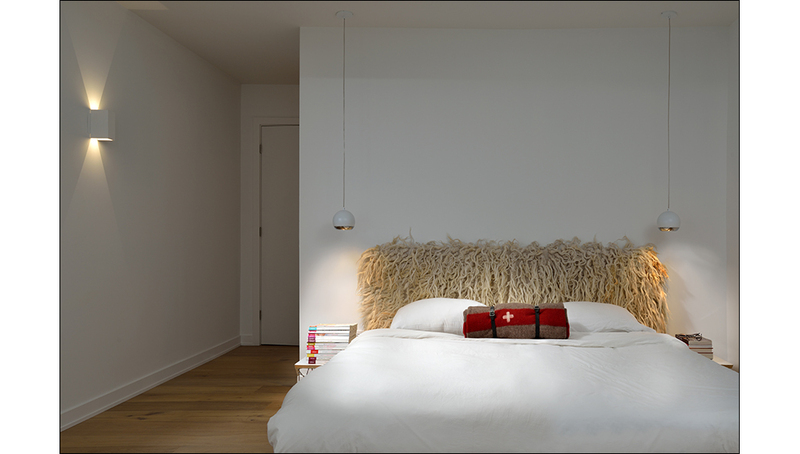 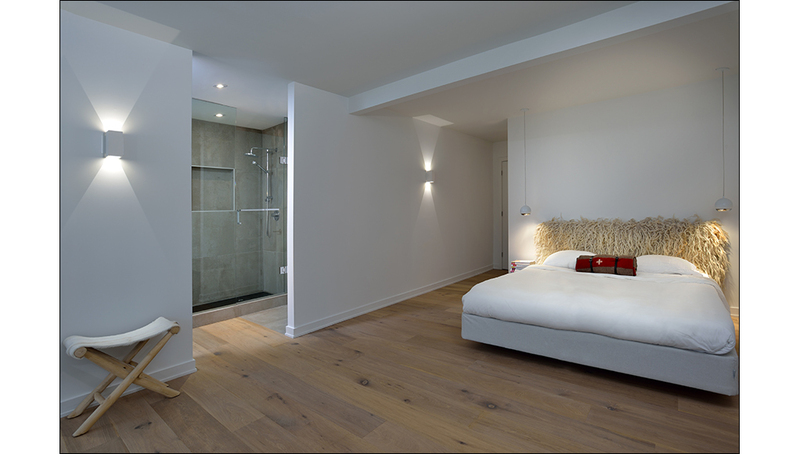 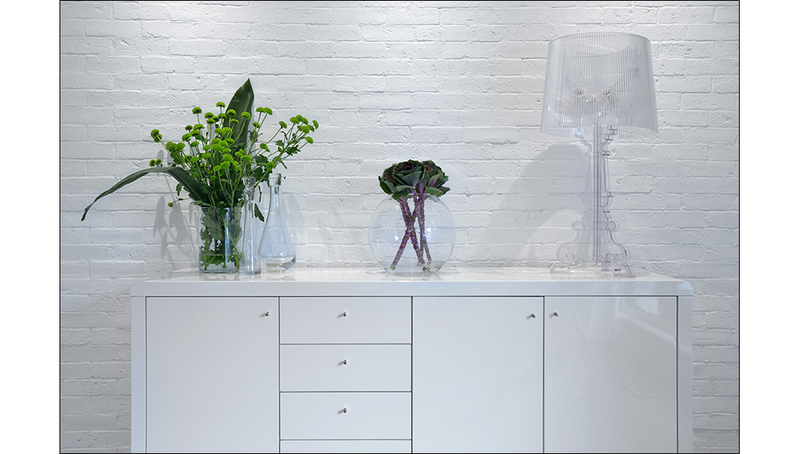 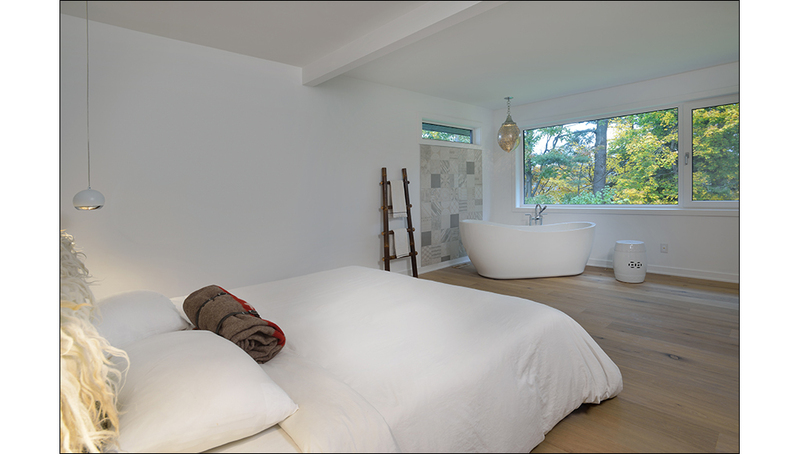 The essence of soothing simplicity was achieved by Upside’s design and construction team.